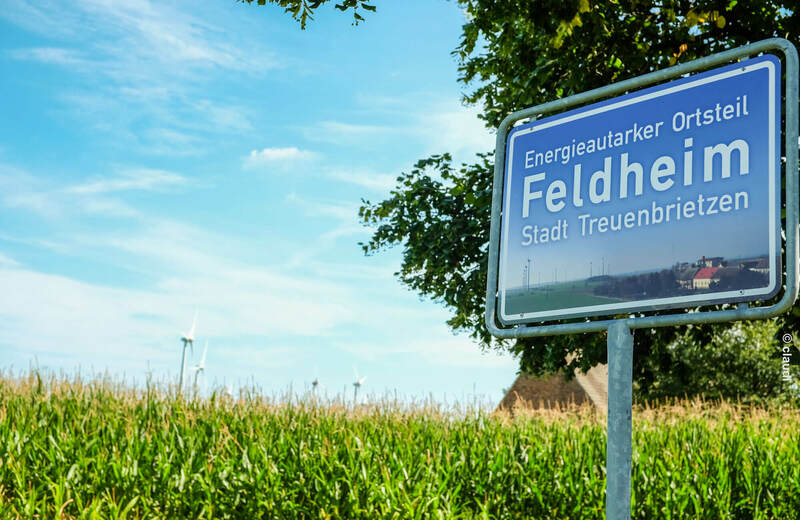 Hire an electric bicycle from the Neue Energien Forum and enjoy a relaxing ride through the Upper Fläming countryside. Electric bicycles (also known as e-bikes or pedelecs are available from our visitor centre, very close to the Tour Brandenburg cycle route. Why not follow our Energy Tour to discover how renewable energy power plants generate electricity and heat? If you would like a guided tour, please book early. Alternatively, you can cycle the Tour Brandenburg route through a region of mediaeval castles, Rummeln (narrow, dry valleys) and giant stones. Our modern pedelecs are fitted with Bosch technology and are easy to operate. 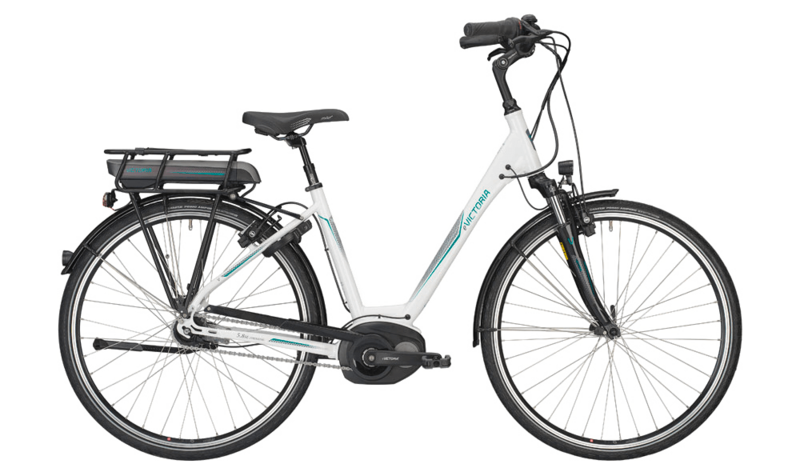 With Bosch mid drive motors, a coaster brake, hydraulic brakes and long-life batteries, they are ideal for day tours. Hiring an electric bike costs 5 euros per hour or 20 euros for a full day. Please reserve your electric bike in advance to ensure that it will be ready when you arrive to collect it. We will provide you with a cycling helmet and a lock and are happy to help you plan your tour. Electric bicycles are available for hire from the Neue Energien Forum visitor centre by calling +49 33747 619758, by email or by using the booking form at the bottom of this page. Choice of eco, tour, sport and speed power modes. At level 0, the power is switched off. Battery level, current speed, average speed, total distance, kilometres travelled so far and, particularly helpful, the distance to destination are displayed. Cycle hire is subject to the terms and conditions for hire laid out by the Förderverein des Neuen Energien Forum Feldheim. At 1,088 kilometres, Tour Brandenburg is Germany´s longest cycle path. 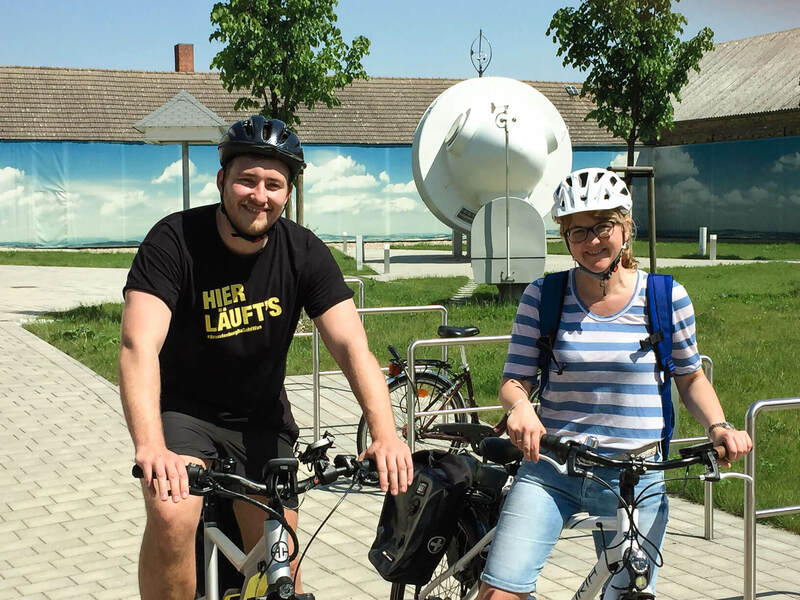 The tour takes the cyclist around Berlin and right through the federal state of Brandenburg, with the opportunity to visit 31 towns and cities with historical centres on the way. 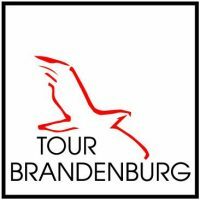 The tour also introduces the cyclist to Brandenburg´s countryside, where eleven wildlife parks, three biosphere reserves and one national park make for a natural landscape like no other in Germany. Last but not least, there are Brandenburg´s rivers to discover – the still unknown ones such as the Schwarzer Elster and the Neiße, just as much as the popular Elbe, Spree, Havel and Oder. Route conditions: The route consists mainly of well-developed cycling paths, most of them asphalted. Long sections of the route have been completed, are signposted and can be used without restrictions. Details of the tour and route can be found here. A deposit must be paid on collection of the bicycle and will be returned as soon as the bicycle has been handed back undamaged. Please bring your passport when you collect your bicycle. The hirer is fully responsible for the bicycle during the rental period and liable in case of any damage or loss. The hirer will handed the bike in an orderly condition: the operation and roadworthiness of the bike will have been fully tested. The terms and conditions have been read and accepted.